Our range of Edwardian conservatories are the ideal choice for homeowners who are looking to add a touch of grandeur to their living area, while maximizing their amount of light and space. For a classic and elegant look, our Edwardian conservatories have a distinctive rectangular shape, which enhances the feeling of space in the room for a welcoming openness. They also come complete with a range of era-specific design characteristics, to add a truly authentic feel to the structure. Additionally, their four-sided, pitched roofs are the perfect way to let in plenty of light, while also making it easier to control the temperature in the room for a bright and comfortable living area. 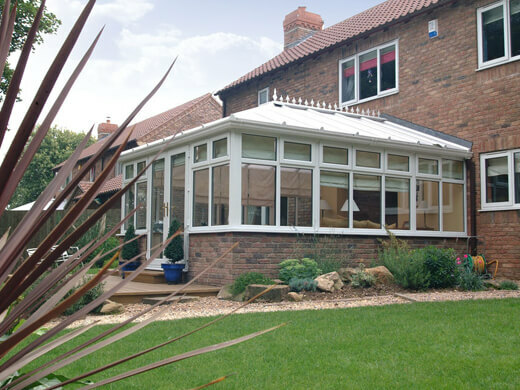 Why choose our Edwardian conservatories? 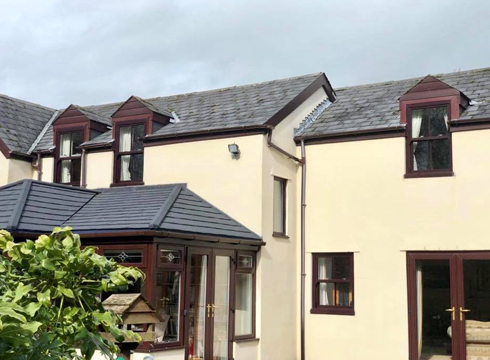 At South Wales Windows & Doors, we make it easy for our customers to customise their Edwardian conservatory, for a one-of-a-kind look which completely fits the specifications of their home. 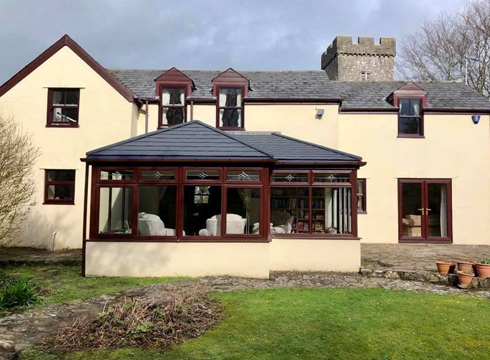 We also offer a range of decorative finishes and glass choices for the conservatories, giving customers complete control over every aspect of their design’s appearance. Edwardian conservatories are a truly authentic and luxurious addition to any home. They add space and let lots of light into your existing living space. We have installed many beautiful Edwardian conservatories over the years – some of which you can see featured in this gallery. We have years of experience working with Edwardian conservatories, so our experts are on hand to help you with the more technical aspects of installing our Edwardian conservatories. Our Edwardian conservatories let lots of natural light into your home, creating a calming, comfortable atmosphere. You will also feel much more in touch with your garden space as you enjoy the view outside your new Edwardian conservatory through its many windows. 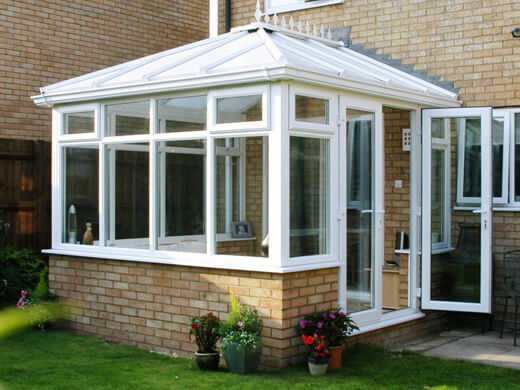 As with all of our products, our Edwardian conservatories offer excellent security. This means you can buy our Edwardian conservatories with confidence that you’re creating a safer home for you and your family. Our highly-trained and professional craftsmen will arrive on a day of your choice at the agreed time. 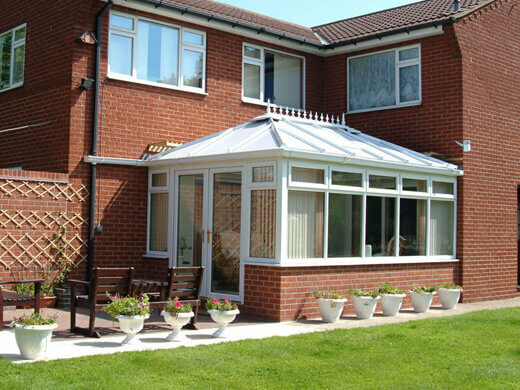 They work quickly and efficiently to install your Edwardian conservatory, leaving minimal mess and limiting disturbance in your home where possible. 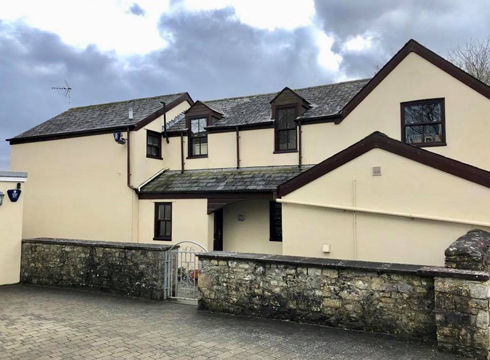 If you would like any further information regarding our Edwardian conservatories in the Cardiff and South Wales area, please fill in our online enquiry form or call us on 02920813488.